You don't need more than a photo to tell this dog is heartbroken. 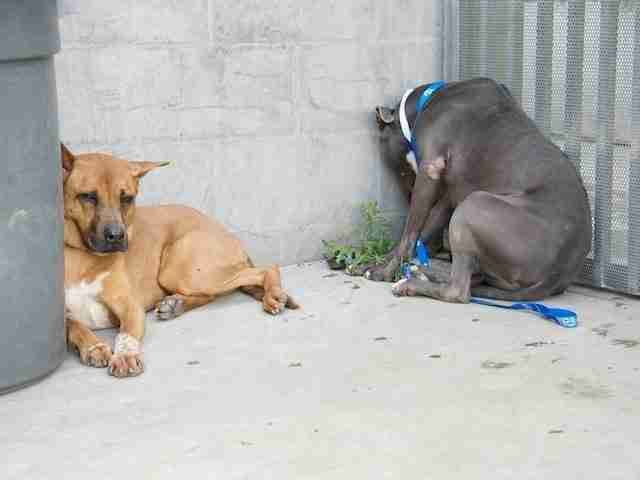 The North Central Shelter in Los Angeles uploaded this picture of Marley, left, and Miley, on Wednesday and it immediately generated thousands of comments and shares on Facebook. 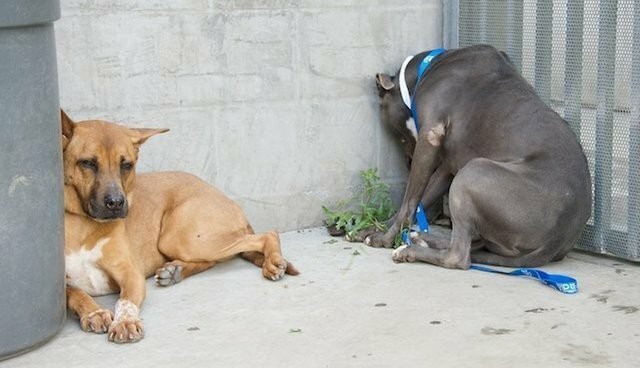 Miley, sitting in the corner with her face against the wall, was an "owner surrender" to the shelter. "This is where our hearts broke. MARLEY (A1367215), on the left, stayed close to MILEY (A1530442), who is devastated by being surrendered by her owners to the shelter. The two just met today in play group," wrote the staff at North Central in the caption on this photograph, "Miley arrived at the shelter a smiling dog, and when she came out for play group stayed in the corner with her face pressed to the wall." This could also be a sign of illness, and it's clear that either way, she could use some human love and care. The shelter adds, "She accepted love and affection from volunteers and from Marley. This girl needs to be back in a home." 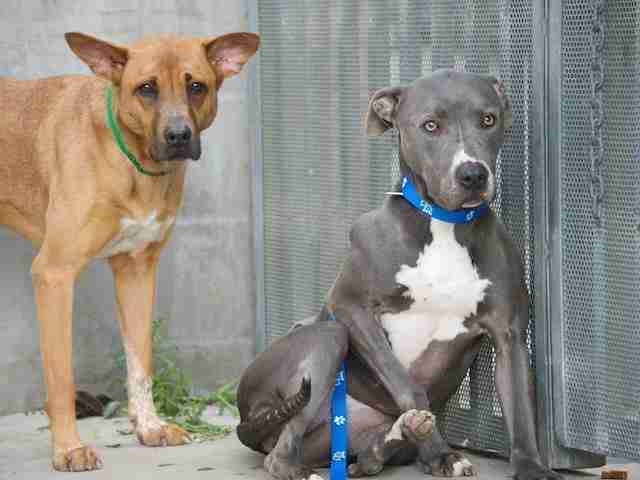 Luckily the photo of Marley and Miley caught the attention of Best Friends Animal Society Los Angeles, a no-kill rescue, which stepped forward to take both dogs and help them find forever homes. Miley probably won't forget her feelings of loss, but this girl still has a lot of love to give, and some lucky family is going to get to make her feel wanted again.